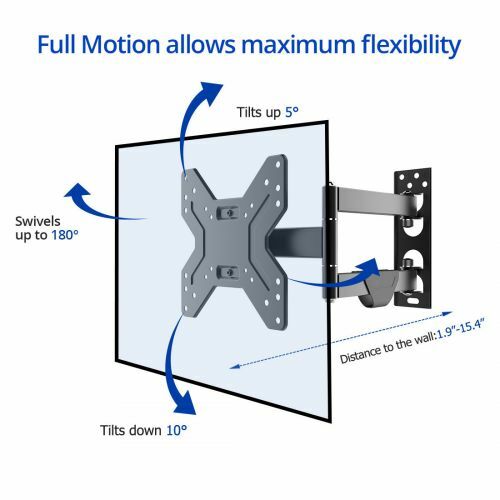 Categories: Full Motion Mounts, TV Mounts. 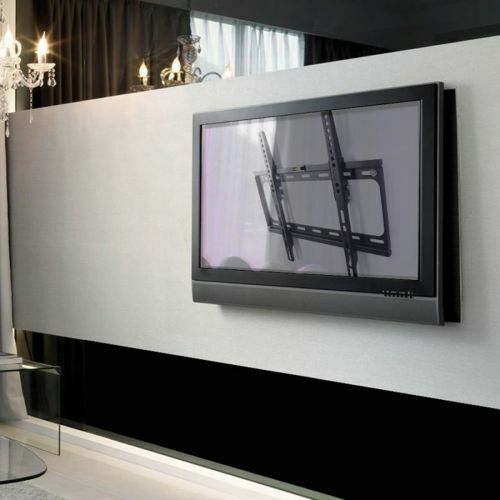 Fleximounts TV wall mount V1 offers an attractive way to display TV while providing most flexible viewing. The arm can easily be adjusted, allowing you to enjoy in a more comfortable, ergonomically correct position. 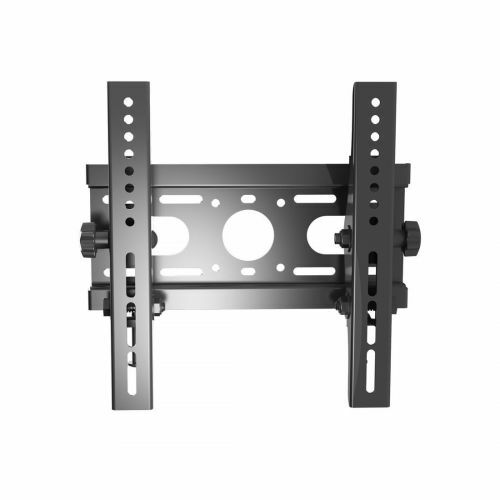 This TV wall mount can hold a TV with flat screen between 17 and 42 inches with max 200x200 VESA compatibility and max.55lbs loading capacity. 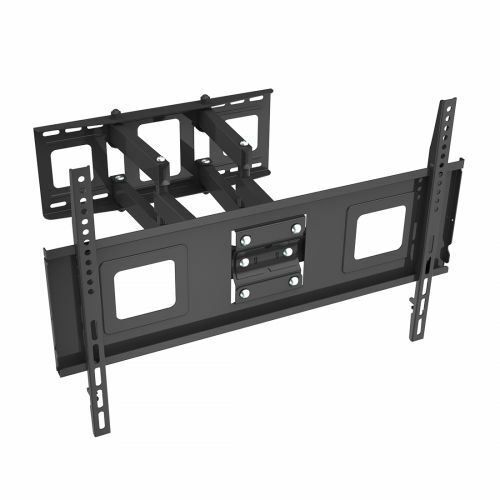 And this is a universal mount, which fits for most TVs such as Samsung, LG, Vizio, TCL, Sharp, Sony, etc. 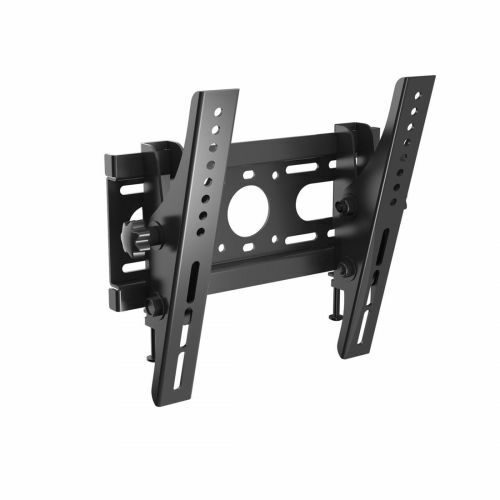 Constructed with 3 Articulating Arms: Great designed three arms keep mounts and TV steady. 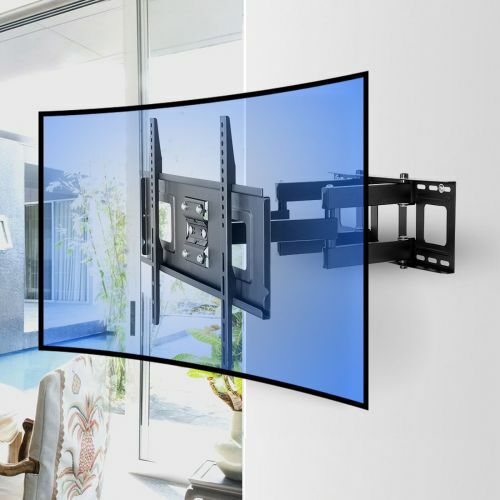 Full motion allows maximum flexibility: Extend your TV between 2.3” and 15.4” from the wall, which helps to clean and collect the cables. 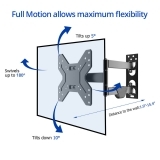 Extended articulating system: Wide-angle swivel between -90°to +90 meets different viewing needs. 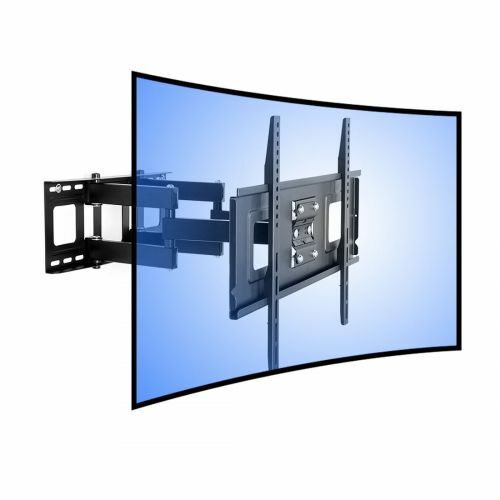 The TV set can now be manipulated in several positions and has several additional features. 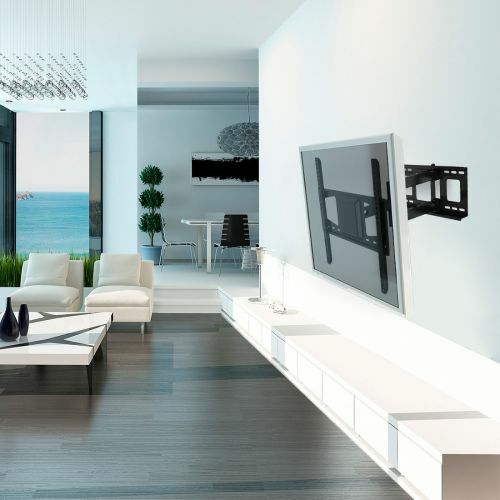 Cable management system: Cables that go astray can be concealed effectively making the whole TV set clean and tidy. I recently moved and brought the old 46″ Samsung tv to the new place. 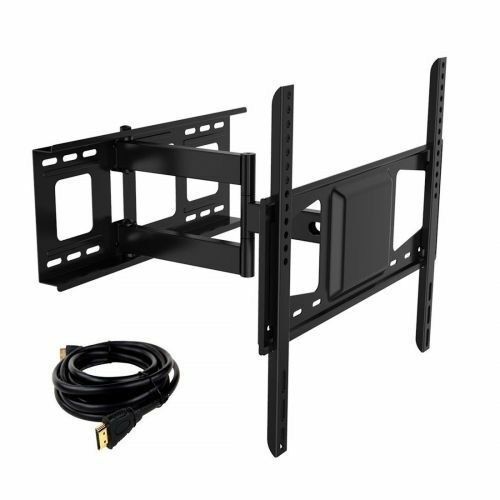 This was easy enough to mount on the wall, but there is a flaw in the way you attach the TV plate to the wall mount. You get these two little nuts for the bolts coming out of the TV plate. 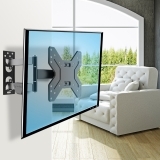 The problem is, these nuts are too short/weak to secure and level the TV with hand tightening. I searched for a tool that could tighten the thing more because I couldn’t figure out why the TV wouldn’t stay level, and determined it HAD to be these nuts just weren’t tight enough. So, I ended up going to a local hardware store and getting a wing nut for the bottom piece and problem solved. I like the mount well enough but I’m deducting a star because they should include all the hardware you might need. 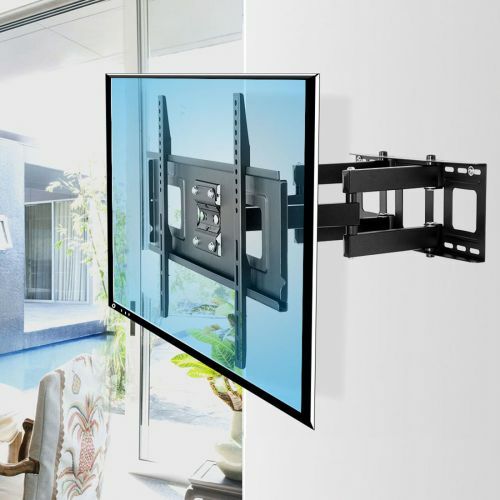 Great wall mount. Works like it is supposed to. There is very little vertical tilt, but I’m using it to hold up a computer monitor. 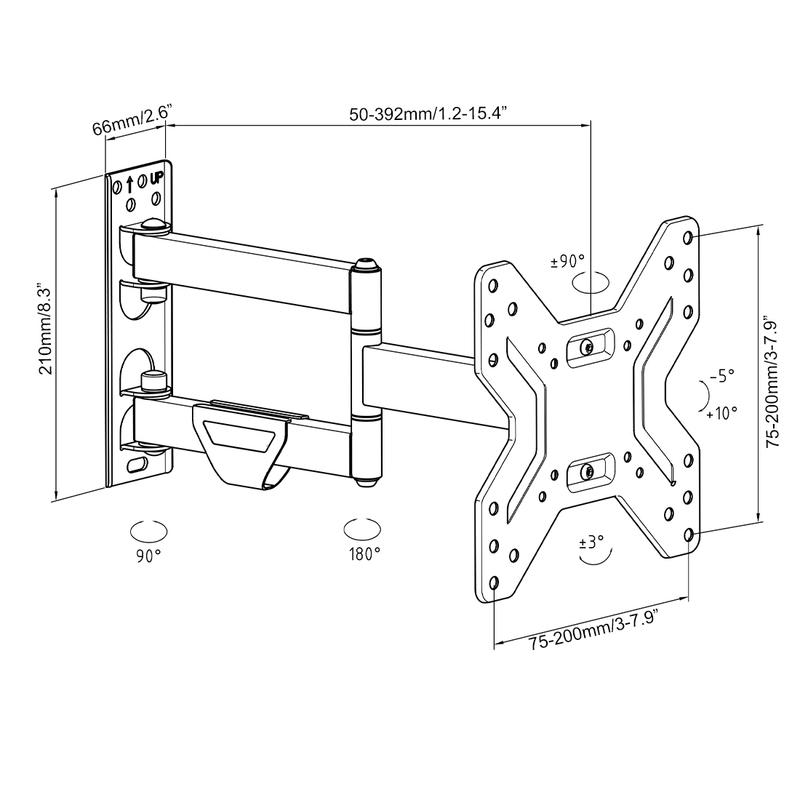 The wall mount came with all the parts needed to attach to the wall and the TV. The tilt seems a little weak, as the TV will tilt all the way down and not in between strait or down. But overall works great. 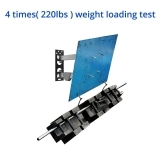 Easy to install, sturdy. 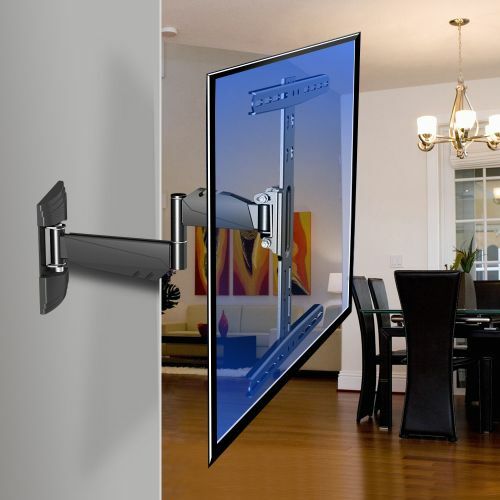 They also include a variety of screws to fit any type of tv. Just what I was looking for. Articulates just like I needed and is plenty rigid enough for my 32 inch TV. I mounted it in a bedroom and was able to center the tv on the wall with the center of bed. I mounted the bracket on the stud and lined the the tv with center of the bed even though the stud in the wall didn’t line up with the center of the bed. 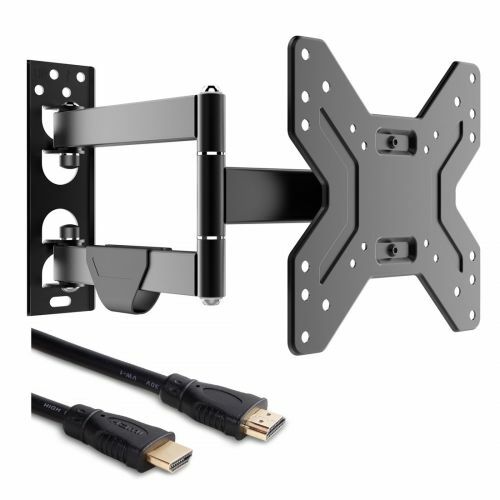 good quality and seems very sturdy, even with a 42″ TV on it. Easy to install with all the screws, washers, cable clamps and even a template for drilling holes. This product works great. I would have give it four stars if it wasn’t missing the bolts to attach the tv to it. 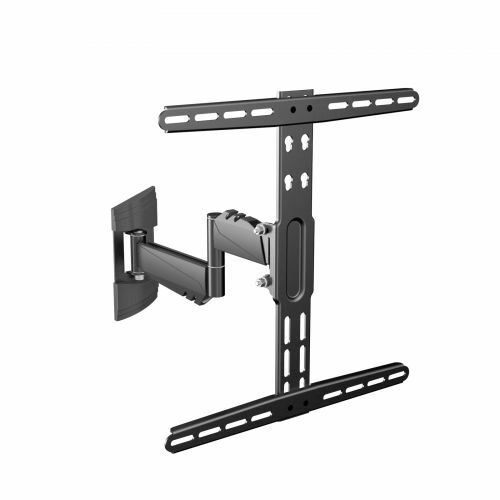 I liked this wall hanging TV bracket until I went to put the TV on, and it didn’t have an easy way to temporarily attach the TV while I permanently tightened the hardware. 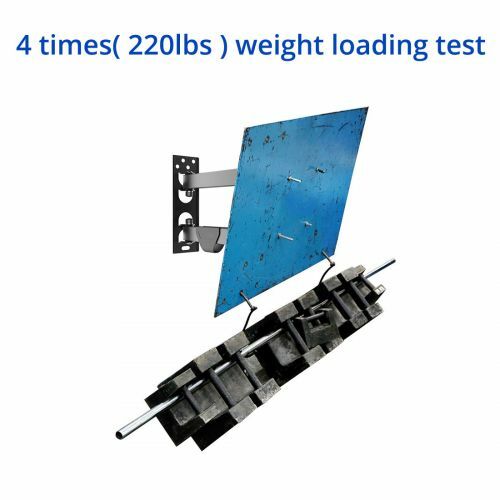 It really should have a peg or something that drops into a socket, taking the weight off while you are on the ladder holding the set in place. It was also a bit tight in back when fully seating the screws. 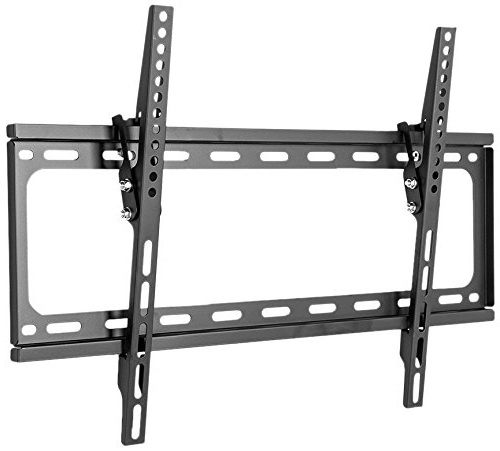 Hard to explain perhaps, but I have now mounted 5 of my HD TV’s with various wall-mount articulated brackets and this was the hardest to handle. Still works well and was inexpensive. Didn’t spend much, and got a bracket as good as ones more than double and triple the price. Easy to install. Got this mount to put a 32 inch TV on the wall in my home office. Really simple to install and seems pretty solid. Holds my 32inch LCDTV just fine. It’s great that it swivels right to left and even downward which is really nice. I would buy this again. Exactly what I expected and worked great! 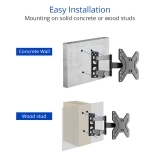 Very sturdy product easy to install. This is such a perfect value for the price. Exactly what i wanted, just doesnt tilt like I thought! Easy to install, very durable, mounting screws to the TV plate a little short. Works great and an easy install. 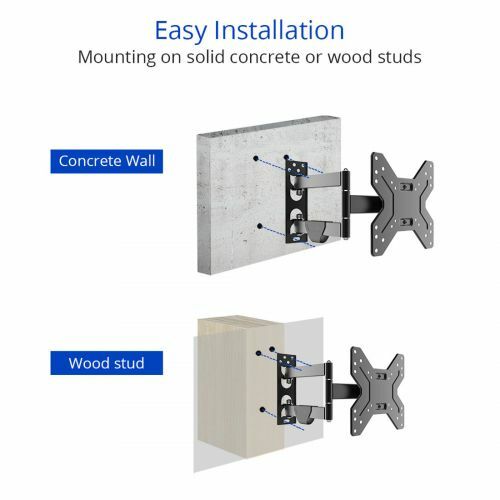 I have installed three of these mounts and they are wonderful. It’s exactly what I needed to mount my mother’s 42″ flat screen TV. Installation was simple and it seems pretty durable for a $20 wall mount. I would recommend this product.